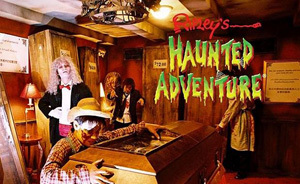 Book your attraction tickets with us is easy. Just choose the tickets and amount and click on purchase button. We will then send you invoice which you can pay by credit card. Then we will email you ticket vouchers. It’s easy, convenient, and always at a discount so book now! If you would like to have close encounter with the tigers this is the place. Bottle feed baby tiger and take photos to show to your family and friends. For some taking photographs with a tiger cub, or better a full grown Bengali tiger, can easily be a lifetime experience. There are also many other animals at the zoo. 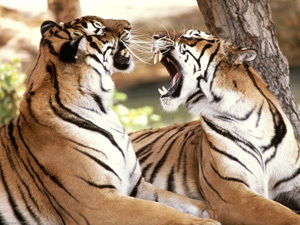 Many shows and entertainments are available such as elephant dance, tiger circus, and crocodile encounter. It’s a fun place for day out around the animals with your family. 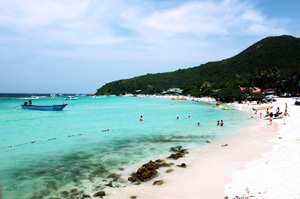 Just a little off Pattaya shore is the Coral Island (Koh Lan). It’s home to the nice beaches and clear water. The water is usually much clearer than the inland beaches in Pattaya. The speed boat will take you right to Ta Wang Beach with no need to drop at the pier to connect with the island Song Taew bus. 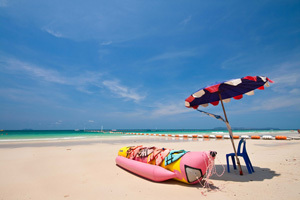 Relax on the beach with lots of water activities, e.g. parasailing, wave runner. Experience a good day, beautiful clear waters to swim and snorkel, and don’t forget to take plenty of sun tan oil. 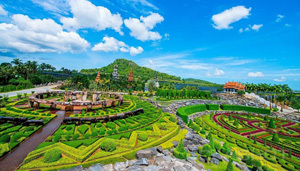 Nong Nooch Tropical Garden is a huge attraction in Sattahip, south of Pattaya. There are many activities inside. 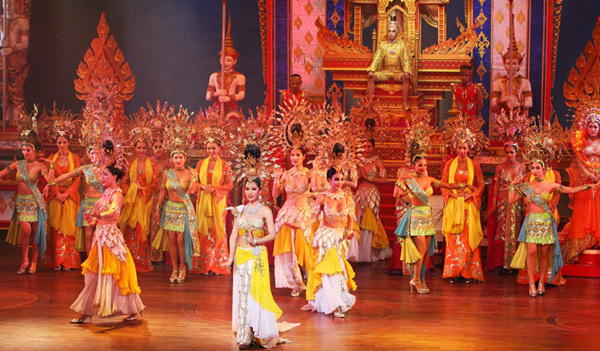 The Thai Cultural Show is great and the Elephant Show is not to be missed. 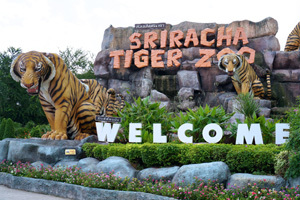 You can ride the elephants, take photos with the tigers, feed Araphima fish, and enjoy a walk in giant bird cage. These are just examples and there are many more activities inside. And lest we forget, the tropical gardens are beautiful too. If you’re with kids they will love the place. It’s a large place so you’ll be better off with walking shoes and sunscreen. Then just pace yourself and enjoy your day. • Garden open everyday from 8.00 hrs. to 18.00 hrs. Round 1 : 10:30 Hrs. Round 2 : 13:30 Hrs. Round 3 : 14:30 Hrs. Round 4 : 15:30 Hrs. Round 6 : 17:30 Hrs. 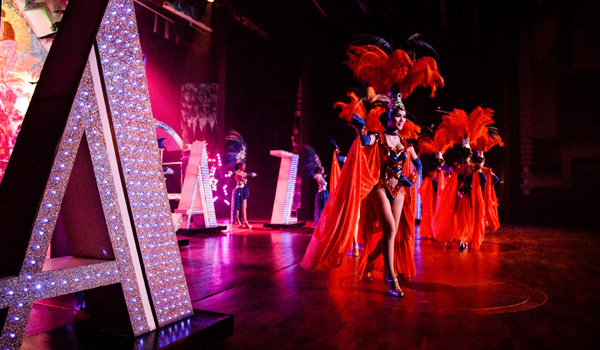 The world renowned Pattaya ladyboys cabaret, Alcazar features wonderfully choreographed performances from diverse cultures of the world. It brings to life a fairy world of imagination. Music, dance, sky, earth, mountains, fog, mist and costumes. The show is a little over an hour and is executed through excellent choreography, dazzling sets, superb sound and light system. The Original Transvestite Cabaret show in Pattaya, Tiffany has been around for more than 40 years. The transvestite professionals are pretty (many say they have to remind themselves they are not women). The venue is a nice place and the show is spectacular. The dancing and lip syncing are enhanced with well executed sequence and extravagant props, rendering dazzling portraying of different types of small stories. Great show which some funny bits which will get you to laugh and make for a really enjoyable night. Art in Paradise Museum is a place to let your imagination run wild and go photo crazy. The 3D museum has so many 3D paintings in its ten galleries – the Camouflage Room, Under the Ocean Room, Wildlife Room, Classical Art Room, Civilization Room, Surrealism Room, Dinosaur Room, Waterfall Room, Scenery Room, and Exhibition of Art Room. 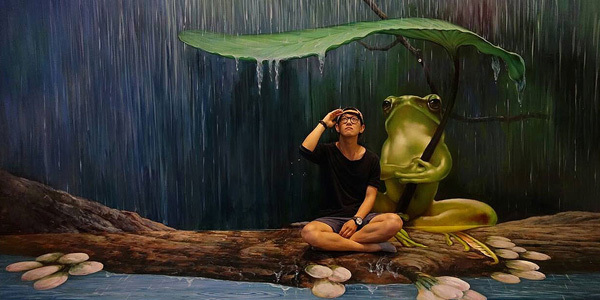 So no matter you want to get your photo taken with underwater creatures, or ancient temples, or nice landscape, or with a T Rex, all is possible. The paintings a very real and the place is well maintained. It’s really worth a visit. If you have an interest in world history, interesting stories, the wonder and the weird, Ripley’s World of Entertainment is the place for you. 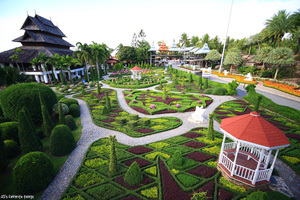 Located on 2nd floor of Royal Garden Plaza, Pattaya, it features 7 attractions under one roof. The main attraction Believe It or Not! is bizarre memorabilia at its best. Scream in the Dark is so much fun riding and shooting moving targets in the dark. 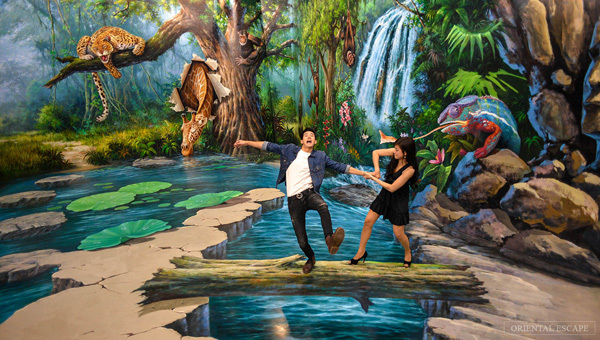 Louis Tussaud’s Waxworks will let you have some fun photo snaps playing golf with tiger woods, boxing with Tyson, or posting with Tom Cruise.